Pro Dive Mexico PADI Career Development Center: The world needs a new warrior. It needs YOU. We at Pro Dive Mexico are solidary and support the cause of Greenpeace. We hope that not only we as divers, but soon enough the whole world recognizes the need to save our oceans and our planet. 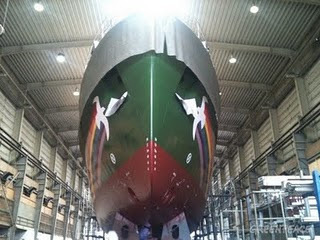 Check out this great video and website of GREENPEACE, and learn how you can help to build the next RAINBOW WARRIOR.